The tall single soap dispenser is available in Chrome or White. This soap dispenser is easily fitted to the wall with sticky pads, silicone or screws. The chamber holds a generous 380ml of liquid soap or shampoo. The soap dispenser is easy to refill or remove for cleaning. 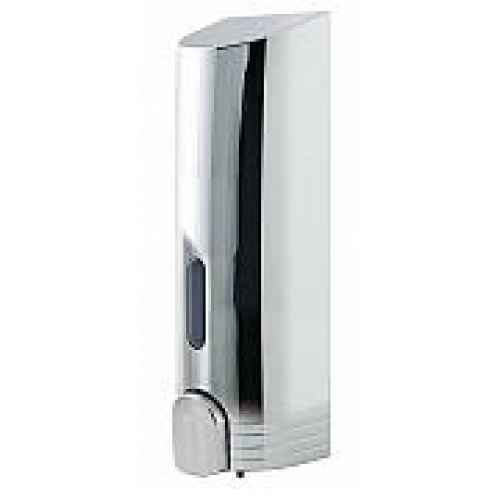 The Tall single soap dispensers are available in Chrome or White. Shown here in White. Th..